Vol. LXXVI (2018) - No. 269 Realizzo me stesso. Educare i giovani alla ricerca delle possibilità [Self-realisation: Educating young people in exploring their possibilities]. Realizzo me stesso. Educare i giovani alla ricerca delle possibilità [Self-realisation: Educating young people in exploring their possibilities]. Thinking about the future of our young people today is the challenge this book’s author proposes within the academic and professional sphere of educational, social, and cultural action; and she does this with the authority and rigour of someone familiar with the philosophical, anthropological, and psychological background that underlies the questions chosen to tackle the topic. It immediately becomes apparent that, on the whole, these are core questions, not without problems, in an approach that does not settle for simplistic explanations of the human but that also eschews sophisticated arguments. What is essential and central is often distinguished by the paradox of expressing oneself clearly without losing its complexity, and the reader encounters this very paradox throughout this book. Recognising the person as a possibility. Pedagogy as knowledge of educable potential. Educating between potential and self-realisation. As for the question of how to promote a form of development that allows each individual to become ever more his or herself, Musaio responds with a pedagogy that starts with each person’s intrinsic educability through which their potential as a whole unfold all through life to be unique, special, and new; not in a purely self-affirming and isolated way but instead in relation to reality and the other, in the reencounter with the human as a unifying factor (p. 89-90). The prologue by Concepción Naval (a professor of theory of education at the University of Navarra) is also worth mentioning. 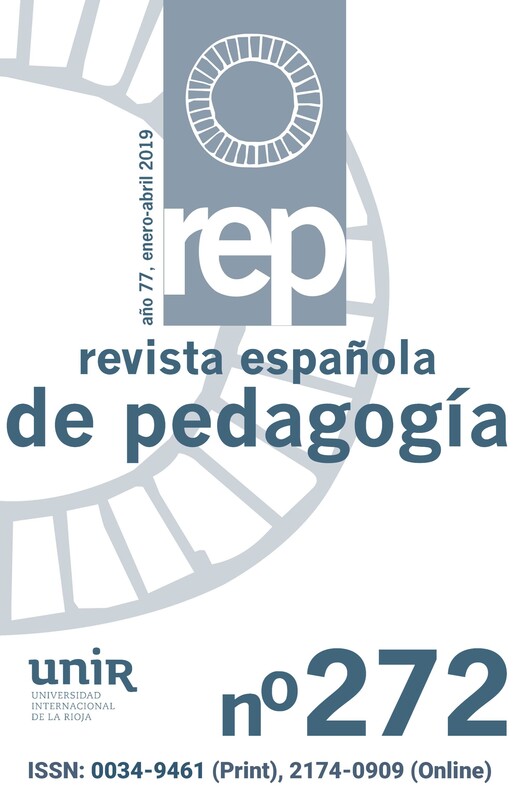 With the title Educación como praxis (Education as praxis), it presents the book’s emphasis on the practical essence of pedagogical knowledge, based on the liberty that is a fundamental part of human action, that generates valid possibilities for education, although the theoretical formulas that are needed cannot be derived from them (p. 16). One of the recurring and especially im‑ portant questions in the text as a whole is found in Musaio’s overview of young people and adolescents, influenced by authors such as Augé (2013), Bellingreri (2011), De Monticelli (2009), Hargreaves and Shirley (2012), and Mancini (2008). She regards them as a generational group that has its own particular features but is not determined by them, nor even pigeonholed in a stage of transition towards maturity, closed off and distanced from the adult world, which would therefore cease to be a valid reference point for a potential future. On the contrary, through adolescent growth, through the tests and developmental benchmarks that the adolescent must confront, the adult figure (educator, father, mother, etc.) is called on to interpret his or her own existential journey, the tests typical of life in general: the tension between the desire to live and being tired of living, between openness to life and accepting the limits it imposes on us and so on (p. 97). Only by openly listening to this intergenerational questioning can Mancini’s «good reciprocity» be generated (2008) between young people and adults, through which not only does the young person appear before the adult as a future «promise», but the adult his or herself is also a «promise» for the young person, in a testimony that is not limited to merely transmitting knowledge, norms, or values, but is open to the hope that a future can be carved out despite the uncertainty, scarcity or fragility of existence, and that this future is not reduced to individual survival or satisfying personal needs (p. 212). The question of the limit and of the constituent fragility of the person is decisive for the response education can offer to the fulfilment of the human. Each individual’s existential journey is outlined in terms of potential and fragility, understood not in an exclusionary or contrary fashion but instead a complementary and unifying one. Each person can «correspond to the form that pertains to her, in other words, a vocation, to the call with which the world and the other appeal to her without running the risk of being expropriated from herself» (p. 124). This is only possible if one recognises and experiences one’s fragility as an element that makes human growth possible, if it is not hidden or avoided like a weakness. This ability to integrate one’s own fragility is partly what is nowadays known by the term resilience, making it possible to transform difficult experiences into lessons and so acquire the useful competencies needed to improve one’s own life and achieve greater autonomy (p. 172-173). Accordingly, Musaio overlaps with the efforts of current psychology to promote the construction of a stable identity on which it is possible to re-establish the core of one’s own interiority and live the experience of going outside oneself to encounter otherness (p. 190). The equilib‑ rium between fragility and resilience on which to plot the future of young people (and of adult life) lies in learning to experience the dimension of the other in oneself, opening oneself up to trusting in what is possible despite uncertainty, doubt, and adversity as drivers of flexibility and change. A pedagogy like this defined under relational parameters pushes for the abandonment of educational behaviours that are most connected to accumulating achievements, experiences, and activities that feed an illusory self‑realisation, based on misleading self-sufficiency and false individualism. Instead, it is a matter of promoting a pedagogy that perceives the aspirations and the deep desires of young people as a human heritage that adults and institutions must help to realise tangibly (p. 216); consequently, it is a pedagogy that is more concerned with the risk and protection factors in the evolutionary processes, more focussed on discovering the personal potential and talent of everyone and on generating chances for creativity and innovation where the vulnerability of the human combines with trusting in oneself and in others. In essence, according to Musaio, this link between generations must be built «under the banner of generativity» (p. 216) as the capacity of both parties to give life to something new that derives not so much from biological generativity but rather from the relationship that recognises the human. Following on from Pedagogia della persona educabile (Ped‑ agogy of the educatable person, 2010), in this new publication Musaio explores the promotion of the human as an educational task that all of us must generate between us. In life we must all make and share a new personal path by which we can «symbolically return», in Stoppa’s words (2011), whatever has been given to us and we have received from others.